The 2019 Mazda3... a vehicle engineered by perfectionists for perfectionists, like you. Mazda’s most technologically advanced Mazda yet, resulting in fuel economy ratings from the EPA of up to 41MPG. SkyActiv Technology... a blend of efficiency and performance. Now with the optional i-Eloop, which stores kinetic energy during braking and releases the same energy during acceleration, resulting in a boost in fuel economy of 5%. It’s a car that settles for nothing less than the best by constantly striving to bring your driving experience alive. A vehicle that received five star safety ratings from the NHTSA. 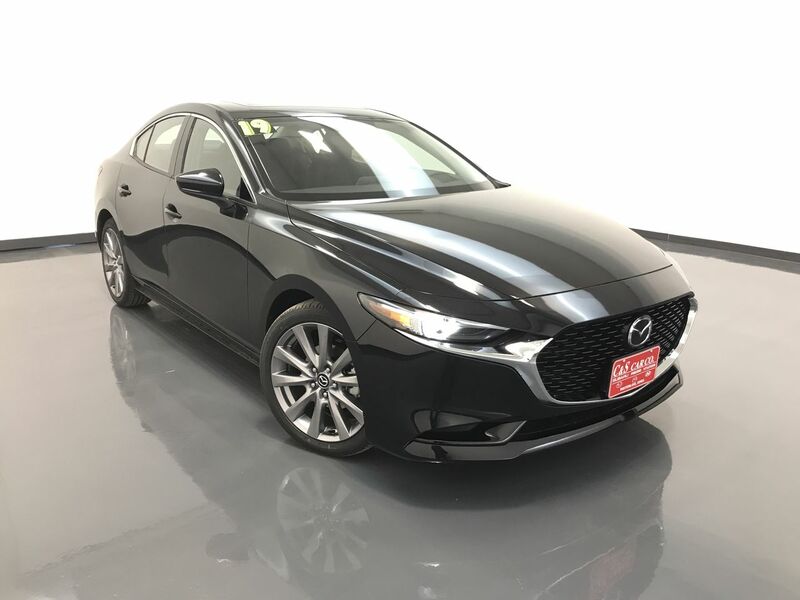 This is the MAZDA3 4-door sedan for 2019 with the optional Preferred Package. Limited bumper to bumper warranty- 3 year /36,000 miles whichever comes first. Limited powertrain warranty- 5 year /60,000 miles whichever comes first. 24/7 roadside assistance- 3 year/36,000 miles whichever comes first. Warranty against body rust-through 5 year /unlimited miles.